Kidman Resources has sealed a $US100 million ($141 million) loan agreement with joint venture (JV) partner Sociedad Quimica y Minera de Chile (SQM) to fund the Mt Holland lithium project in Western Australia. The loan will be used to partially fund Kidman’s share of construction at Mt Holland. It was secured through Kidman’s 50 per cent interest in the project. Kidman can withdraw the funds when a final investment decision is reached at Mt Holland. 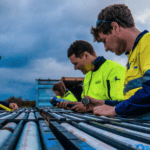 The Melbourne-based company plans to pay back the capital expenditure facility on its maturity date using long-term debt facilities, according to Kidman in an ASX statement. “We are delighted to announce this financing from SQM today. SQM has been a committed partner in the Mt Holland lithium project since announcement of the JV in July 2017, and this is a further demonstration of SQM’s confidence in Kidman and the Mt Holland lithium project,” Kidman chief executive Martin Donohue said in October 2018. “These facilities will provide Kidman with competitive debt financing, cover a significant proportion of Kidman’s project commitments and are also consistent with Kidman’s strategy to maximise debt financing and minimise any equity contribution for the project. 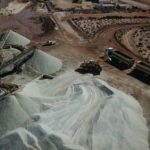 Kidman last year revealed Mt Holland would attract a capital cost of $US601 million ($849 million), with average annual production of 45,254 tonnes per year of lithium hydroxide in total between Kidman and SQM. Lithium hydroxide from Mt Holland will be supplied to Mitsui and Tesla as per the companies’ offtake agreement. Further, the project’s environmental review document, following its public review, has also received comments which may bring about changes in management and offset plans. Kidman and SQM will also consolidate remaining studies for the mine and concentrator and refinery into two integrated project studies, following an amendment to their JV agreement.